If Yahweh exists and is omnipotent then we can extrapolate that he actually wanted a Universe whereby suffering and evil was inevitable. This puts the blame squarely on Yahweh not humans or any other beings. Fact: Christianity is in decline throughout the world. Fact: Islam will exceed Christianity by 2060Fact: Atheists have their work cut out for them.Keep fighting for Reason! Do not falter. Do not give up. 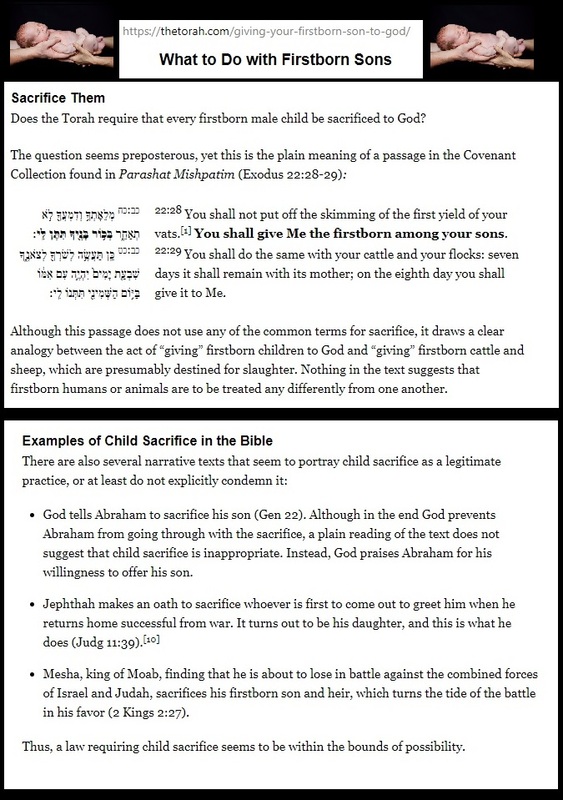 Not even Jewish scholars can deny that Yahweh demanded child sacrifices in the Bible. Let the Christian apologetics begin. I know people that have told me that they are willingly never going to try to think critically about their beliefs. They outright refuse to have any kind of conversation regarding the beliefs. Not believing in macroevolution is like saying a person can walk the measurement of a foot but that successive accumulation of doing so over a period of time can never add up to a mile.